Your place to create, communicate, collaborate, and get great work done. 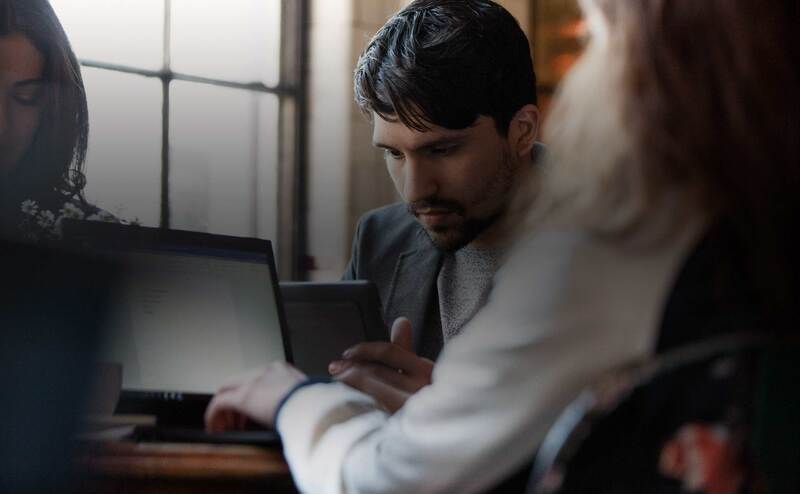 Be more creative and achieve what matters with Outlook, OneDrive, Word, Excel, PowerPoint, OneNote, SharePoint, Microsoft Teams, Yammer, and more. With an Office 365 subscription, you get the latest Office apps—both the desktop and the online versions—and updates when they happen. On your desktop, on your tablet, and on your phone. * Office 365 + your device + the Internet = productivity wherever you are. * Yep, all these: Windows devices, Mac, iPad®, iPhone®, and Android™. OneDrive makes the work you do available to you from anywhere—and to others when you collaborate or share. Help at every turn. Email, chat, or call and talk to a real live person.